Goodwill TAPS - Real help for Real jobs! We believe in the power of dignity that is earned with a pay cheque, and our employment programs and services will help you gain confidence, skills and independence. 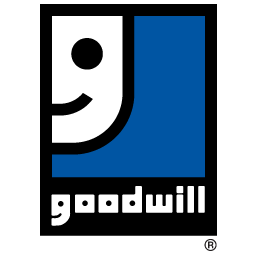 Goodwill TAPS is here to help those who identify as having a disability in all aspects of job search and employment. We can help if you have been out of work for some time, are in school or have never worked before. Everyone’s employment path is different, we will create and support you in a path that best fits with your needs. Our services are free and available whether you are on Ontario Disability Support Program (ODSP) or not. Come in and develop a personalized employment plan. Meet one-on-one with an Employment Consultant. We will assist you with resumes, job search, interview skills, job placement, employer expectations and support you during your employment. Our team helps our clients maintain their dignity by treating them with respect and honouring their privacy. Our proven process identifies employment matches that will result in positive relationships for both employers and employees. We have strong connections with employers and we will help you access the hidden job market! Our proven process identifies employment matches that will result in positive relationships for both employers and employees. Goodwill TAPS program can also help with starting up your own business. Access to technology, printed resource material and supportive staff to assist you if needed. Call or drop in today. A professional body of employment service providers united to increase employment opportunities for people who have a disability. Their Vision is that all people who have a disability in Ontario have access to the labour force and the ability to achieve meaningful employment.